Set to steal all the limelight at Swiss paddock now Toyota had reduced the kerb from its shoulder by unleashing FT-86 open top concept before the Geneva event itself, which was well received in the coupe form last year. Japanese claims that soft-top had retained all the charm but just had cleared the hard-top with its electronically operated soft roof. In spite of being borrowed cues from its previous concept, interiors had been tweaked enough to stand differently with yellow-gold carpet, refreshed pedals, more of metal ascents, additional few instruments and a small radio head unit. 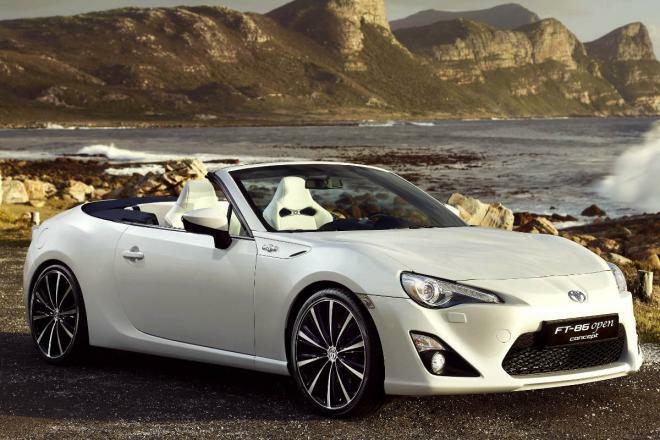 No clear message on the FT-86’s engine cubic capacity but speculations does say that a 2.0 liter four-cylinder boxer motor will be hanged in its bay so that an output of 200 HP and 205 Nm of torque is yielded. Honda S2000 and Mazda Miata would chase the open-top Toyota under Japanese accent but Honda’s offering is now discontinued, so only competition will be the ongoing Miata itself.